"Janette has truly transformed our garden into a space of ever-changing colour, shape and beauty... something we could never have begun to achieve without her inspiration and knowledge. Her amazing talent of combining design with plant structure has created a beautiful addition to our home, an endless source of great enjoyment to us as it evolves and changes through the seasons. 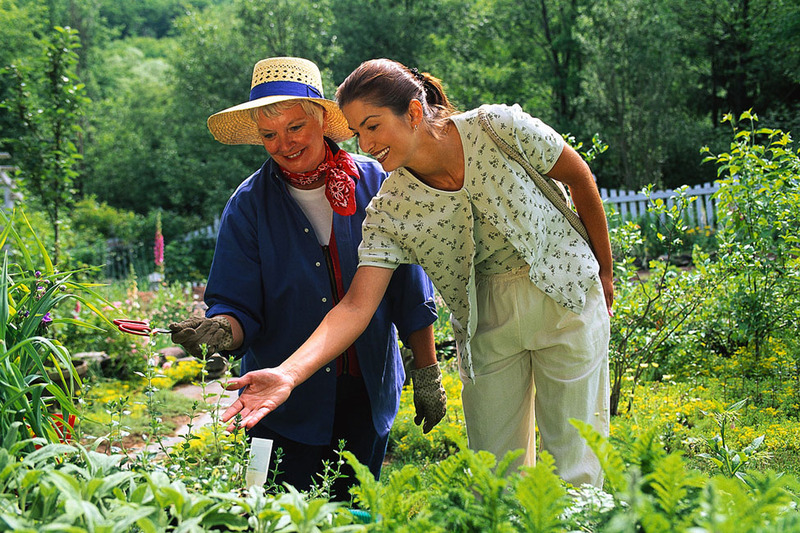 Thank you Janette, not only have we got the most wonderful garden but we have also gained a true friend." 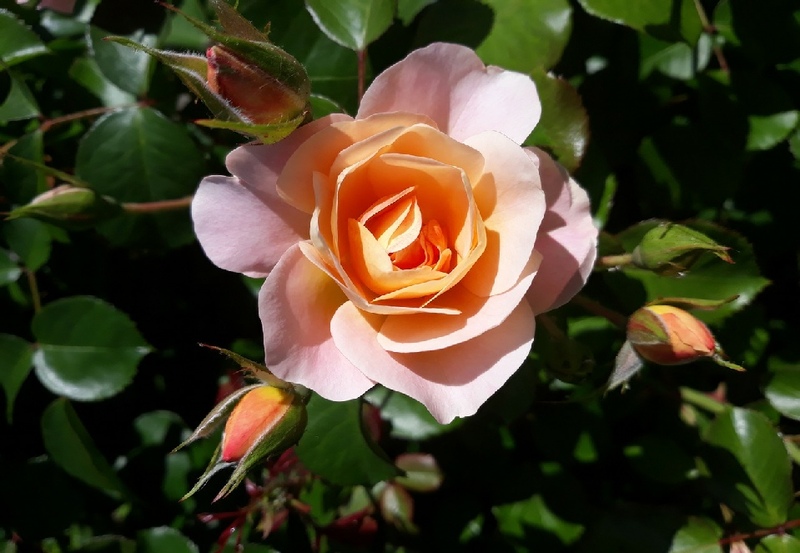 "Just to say thank you so very much indeed for your hard work in getting our garden to the way it looks now...Everytime we walk round the garden we see something different, a new flower, fantastic colours and the garden is full of surprises. Everyone that comes to visit cannot believe the transformation and are amazed at what has been achieved...we are absolutely thrilled to bits." "...thank you for the lovely garden design you did for us. 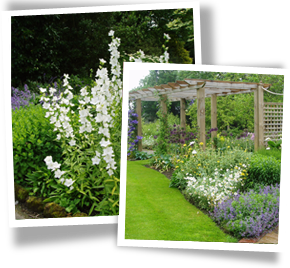 We are so pleased with it - I have never seen a garden I like quite as much as ours." "We would both like to thank you for your excellent design and service, although incomplete and immature the garden is everything we want and has created some very complimentary comments from friends." "We would like to take this opportunity of officially thanking you for all your hard work during the design and concept of our new garden. Having previously been extremely naive where gardening was concerned, we have as they say "seen the light" (or is it, seen the wood for the trees) and now willingly spend a lot of time in the garden and see new things almost daily. We yearned for a peace-haven of our own and you have interpreted our mish-mash of ideas into a reality...the garden will become even more important as a refuge from work and somewhere where we can truly relax and 'chill out'." "Thank you so much, our garden is an orchestration of colour throughout the year. Each Christmas we venture outside and count the flowers that are in bloom while we wait for lunch." 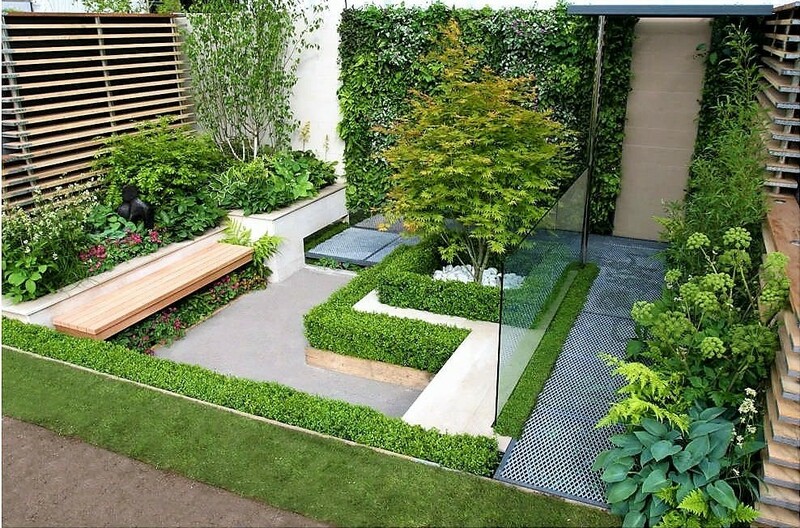 "Having decided to change our rear garden, we looked for a garden designer and found Janette Merilion, who quickly got onto our wavelength. She assessed the kind of things that we liked and was very firm about items that needed moving elsewhere in the garden, or out altogether. One of the things on our list of 'must-haves' was a courtyard in the ancient Roman style with a raised pool...Janette interpreted this brilliantly."